Bit of an odd one, this, initially strange yet soon proving its worth when further listens give familiarity. 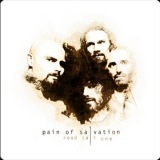 Swedish prog heroes Pain Of Salvation have been deserving of praise ever since legendary mini-epic One Hour By The Concrete Lake in 1998, as dutifully hailed by colleague Thomas on this site. They never quite managed to top that in the hearts of metalheads, despite releasing four albums since, and latest full-length Road Salt One doesn’t even attempt to come close. Instead, it takes a stylistic swing back to the past, initially coming over as a rather zany cross between Led Zeppelin and Deep Purple, mixing classic, blues and folk rock together to produce an pompous yet utterly brilliant mixture that is all their own. I’m a relative newcomer to their work, but can recognise a wonderful ridiculousness in the likes of rap parody Spitfall from 2007’s Scarsick that has the same adventurous spirit as was heard on One Hour... – the difference clearly being that Pain Of Salvation had no desire to be pigeonholed as a Dream Theater clone. What we’ve had since is a pretty fascinating musical career that I’m just beginning to dip a toe into, seven albums of distinct and different progressive music that takes in pretty much every genre there is along the way. Road Salt One is no exception, clearly progressive in tone and body, yet driven by a clear love of the rock style adopted here. Opener No Way is a painfully earnest love song, mixed grooving and piano melancholy under a series of boasts to an ex-girlfriend’s new man from vocalist Daniel Gildenlöw about how he loves, holds, touches, even fucks her better. Yes, this album has a notably sexual thread running throughout, the subject treated in a kind of gauchely emotional manner that works well with Gildenlöw’s almost too heartfelt performance. He’s quite a stunning vocalist, clearly putting his all into each line, somehow like an even more over-the-top Robert Plant, yet without merely mimicking the legend. The band behind him also do a great job of creating their own music along a similar style, rather than just copying what they are paying tribute to. Gildenlöw also plays guitar and bass, and along with fellow guitarist Johan Hallgren and keyboardist Fredrik Hermansson invokes a knowledge of analogue melody that results in some pretty stunning moments. The solos especially are quite excellent, although even when just providing backing to Gildenlöw the band are superb, the mournful blues of She Likes To Hide pitched perfectly, like some long lost Rolling Stones cut. Of Dust has a nice folksy, almost gospel feel, whilst the shuffle-and-moan Led Zeppery of Tell Me You Don’t Know is fantastic. It’s not all classic, either; Darkness Of Mine has a slightly heavier stomp, more 90s than 70s, and Linoleum’s organ-backed psychedelia has a real modern feel to it, not least because it contains Gildenlöw’s heaviest vocals. Of course, since it’s primarily prog fans who will be interested in this, what does this album offer for them? Well, the soft melancholy of Sisters is one very good answer to that question, opening piano becoming cinematic with the addition of Gildenlöw’s voice. It’s an expression of love and lust for a current partner’s sister, his performance making the frustrated passion so physical and clear that you can’t help but wonder if it’s based on fact rather than some idle fantasy. The flippant Sleeping Under The Stars is probably the most musically out-there offering on the album, meanwhile, piano, organs and silly backing vocals creating a deliberately avant-garde air that could go on for longer, but does enough to leave a strange smell in the air, a weirdness that affects the following tracks too. You can’t hear the downtuned riffs of Where It Hurts and not hear the prog heritage, can’t hear the (often spectacular) drumming and not be reminded of the band’s musical skills. And finale Innocence, an almost Tool-gone-primitive masterpiece that closes the album in droning psychedelic groove, vocal melodies mixing and blurring with the instrumentation until you’re not quite sure which you’re hearing. I wouldn’t call Road Salt One an amazing album so much as a very, very good album with some amazing songs. In terms of vision, the album is a real statement of musical intent, a triumph, and it works as well as a whole as a collection of individual songs. Apparently later this year we’ll see Road Salt Two, so the band are clearly confident enough with this style to drag it out a little – I see no reason why the forthcoming album shouldn’t be as enjoyable as this, if not better. In the meantime, Pain Of Salvation have produced another excellent album to their already controversial discography, a discography I intend to explore more fully.